In a blender, pulse 1/4 cup of the cilantro with the lime juice, apple cider vinegar, mustard, garlic, jalapeño, honey, cumin and smoked paprika until combined. With the blender on, add the oil in a slow, steady stream. Season the vinaigrette with salt and pepper. 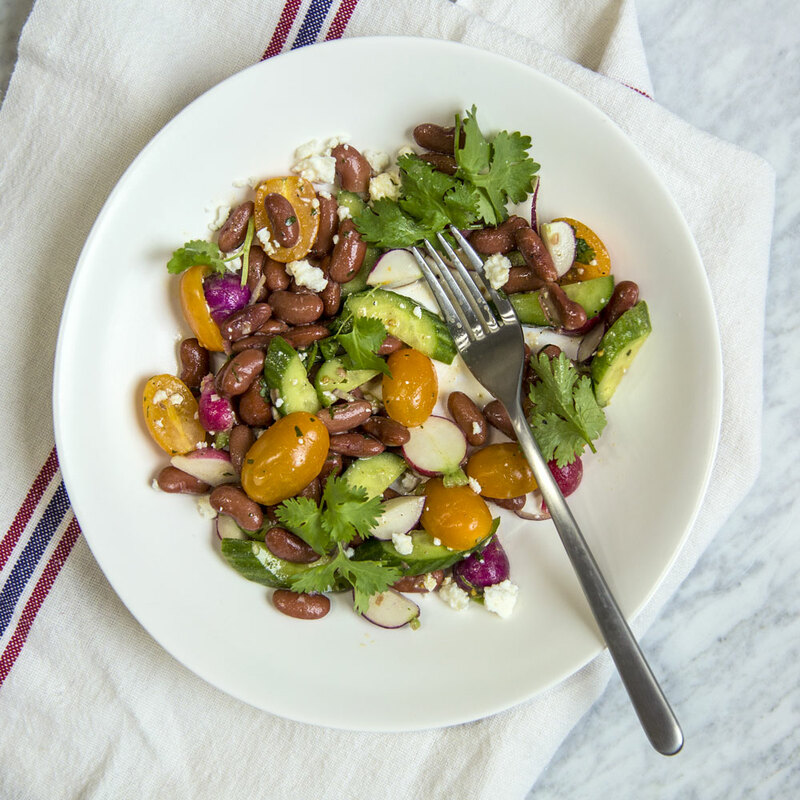 In a large bowl, toss the kidney beans with the tomatoes, cucumbers, radishes and red onion. Pour the vinaigrette over the salad and toss gently to coat. Season with salt and pepper and let stand at room temperature for 10 minutes. Just before serving, add the queso fresco and the remaining 1 1/2 cups of cilantro. The vinaigrette can be refrigerated for 2 days. Toss with the remaining ingredients just before serving.